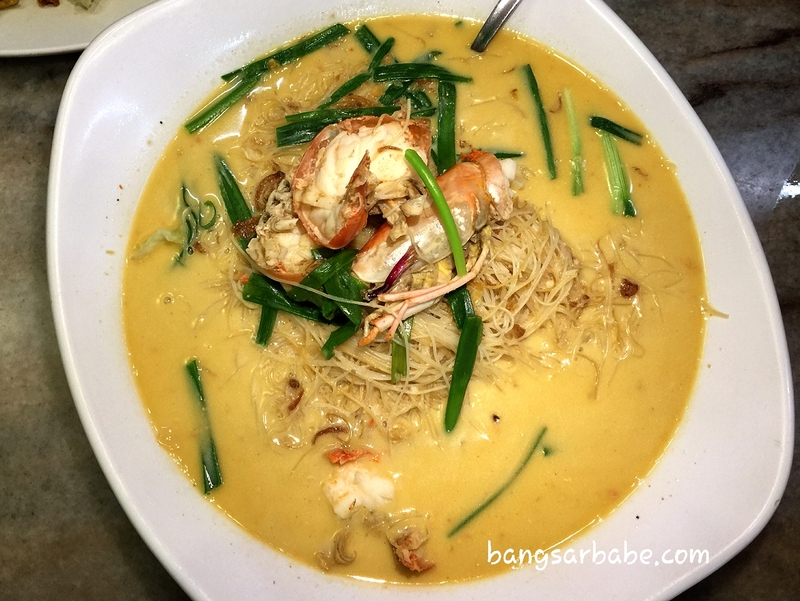 A few people told me to check out the cheese prawn mee hoon at Tong Sheng in Melaka, which I did two weekends ago on my way back to Kuala Lumpur from Johor Baru. There were many things I did not like about Tong Sheng and it started from the ridiculous queue at 6.30pm. To be fair, I didn’t mind the queue as it is usually an indication that the food was good. Tables opened up as the earlier customers left but for some bizarre reason, smaller groups were not allocated the vacant tables because they insisted on attending to those who were in front of the queue. That didn’t make much sense because the group at the front was a large one and no large tables were available. So we waited for an hour until it was finally our turn at the front of the queue. Ordered the popular items like the cheese prawn mee hoon (RM25 – 2 pax), steamed tofu with duck egg (RM15 – small), omelette fried otak otak (RM10) and deep fried cuttlefish with garlic (RM27). The mee hoon was disappointing and hardly worth the one hour wait. 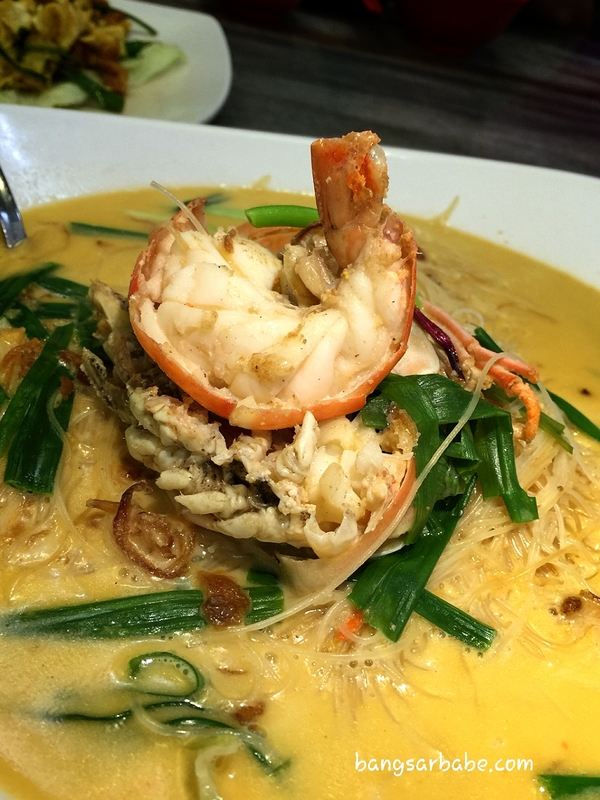 It was diluted and one-dimensional in taste; barely any oomph unless you eat this with chopped cili padi. The otak otak was alright, but nothing wow worthy. I found the cuttlefish very oily as even the garlic was fried. This got cloying after a few bites so if you’re a light eater, you might want to skip this. It leaves a heavy, oily aftertaste in the mouth especially since they serve it with a mayonnaise based dip. Also disappointing was the house special tofu, steamed with egg and further topped with duck egg yolk. 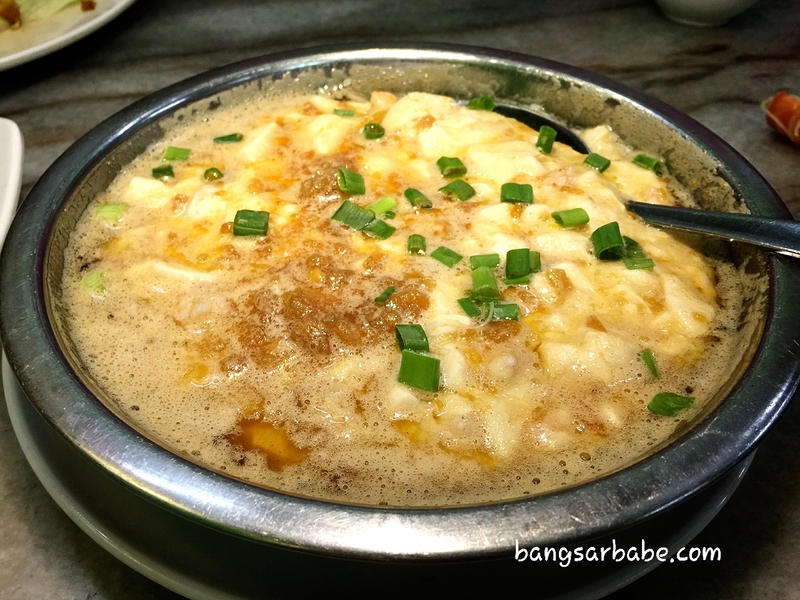 It was similar to the three-coloured steamed egg, except richer and stronger in flavour. Literally high cholesterol on a plate and not in a good way. Our bill came up to RM84, inclusive of drinks and peanuts. 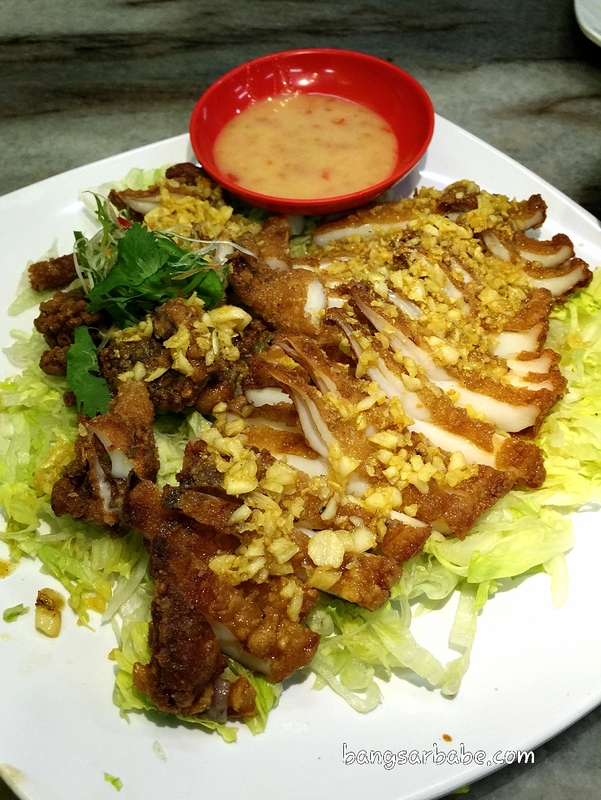 I walked away feeling cheated as Tong Sheng is more of a tourist trap than a restaurant to go to for good food. Verdict: Overrated and not worth the queue. hi, first time leaving a comment here. i had a meal in this restaurant. my experience was complete opposite. i had a great time there. i arrived there at 5:30, so i don’t have to wait at all. haha. the mihun was delicious, but the portion was very small. The sauce i had that day was very VERY thick. in fact the sauce was so good, we dip the bread crumps from the crab set into the cheese sauce instead of the crab sauce. perhaps the long 1 hour wait spoil your mood. 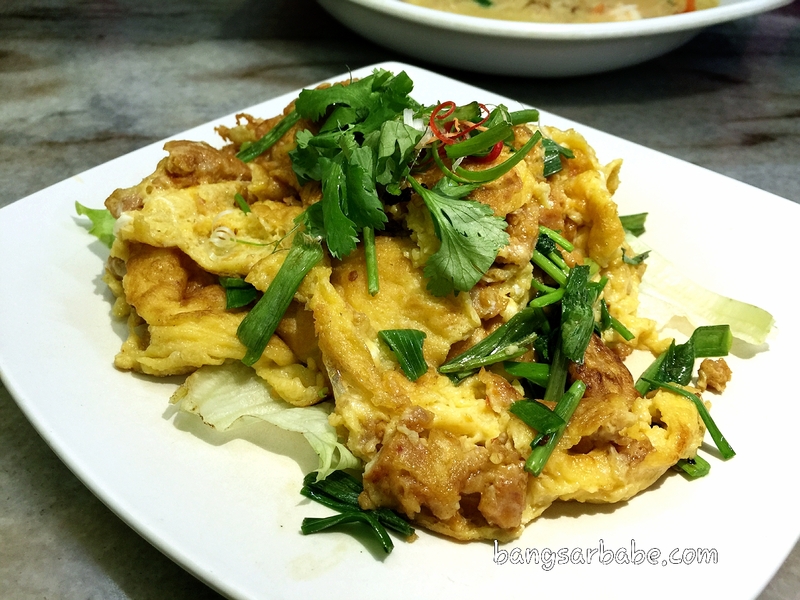 So sorry to hear you had a bad experience in this tong seng restaurant. 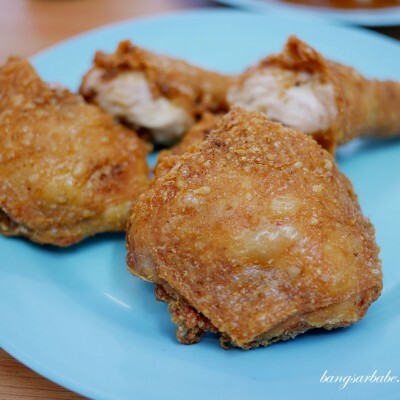 Oh right, lastly i wana inform you the Daro crispy chicken in Bangsar. It’s the post i read that lead me to follow your blog. That place close down already. So sad. I fb message the owner in their fb page, and the owner told me they will reopen somewhere else. but it’s been several months and no news about them. probably closed for good already. Am glad you enjoyed the food. The gravy for my cheese prawn mee hoon was diluted, as you can see from the photo. Perhaps it wasn’t my luck. As for Daro, yeah, I was quite sad they closed down because their chicken burger is nice. Bad location feng shui, I reckon. Although I haven’t been to the restaurant, probably long wait also gave you the high expectation as well. Instead you were disappointed. Probably another try when there is less crowd, just to have a fair review? I don’t think my expectations were overboard, as the food was really not tasty. I was there with two other people and they too, agreed the noodles were overrated. Don’t know if I want to go back so soon since this experience left me disappointed and thirsty.